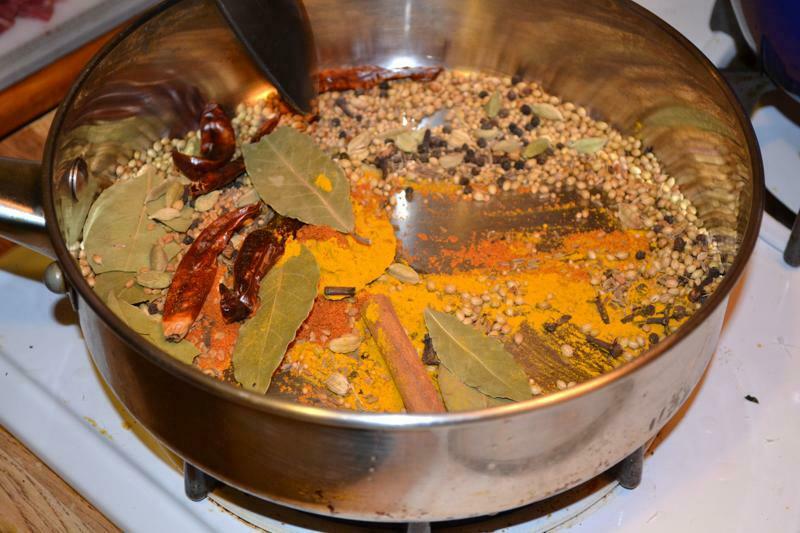 Dandylyon's Blog: Are you Ready for Cooking Around The World? Cooking Around the World starts next weekend at UTA. There are still a few spots left. In the class, I cover foods endogenous to each area, and how culture and trade have shaped the culinary culture over time. Then we make a meal authentic to that culture. 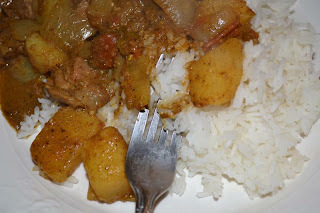 To get you in the mood, I'm posting a recipe here for lamb vindaloo (from the Goa region of India). 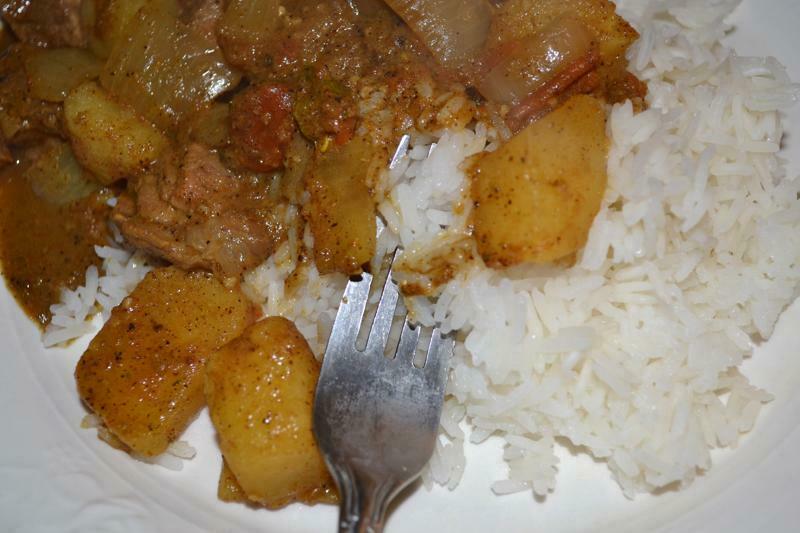 It's not for the faint of spice (It will nearly melt your lips off), but the lamb practically melts in your mouth, and there are few things better than curried potatoes. When you toast the spices, they get extremely aromatic, so try to have as much ventilation in your kitchen as possible. This recipe makes enough for a dinner party. If you want to make enough for four or five people, make the masala (toasted spice mix) as is, but only use half (save the rest in an air-tight container for up to a couple of months), and half the other ingredients. Heat a heavy skillet over medium heat. Add all the spices, and cook until the mixture becomes fragrant and the spices start to darken. Remove the skillet from the heat and allow to cool completely. Process the spices in batches in a spice grinder until you have a uniform powder. 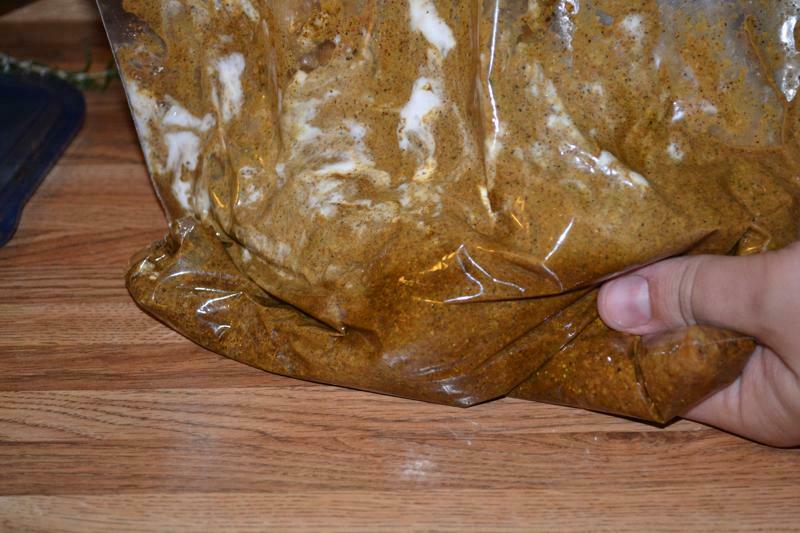 Pour the powder into a gallon-size zipper bag. Add the garlic, ginger, yogurt, salt, jaggery and red wine vinegar and squish to combine. Add the cubed lamb, and refrigerate overnight. Turn the bag over a couple of times during this process. Melt the ghee in a large pot over medium-high heat. Add the potatoes and cook, stirring constantly, until they just begin to soften. Add the onions, seranno peppers, bell pepper strips and tomatoes. 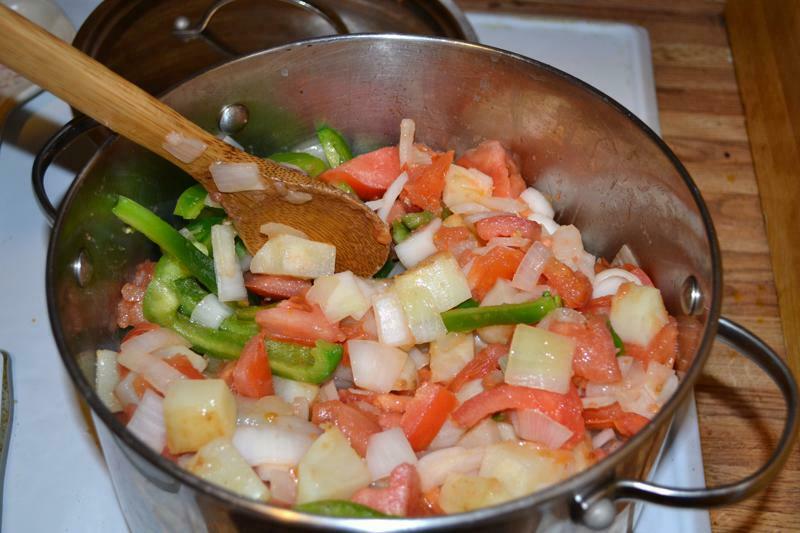 Continue cooking until the onions turn translucent and the tomatoes start to give up their moisture. 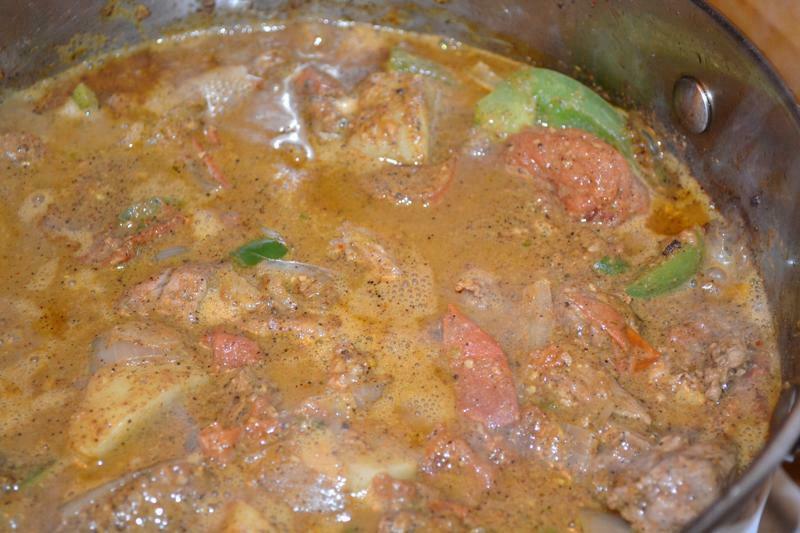 Pour in the lamb, along with the marinade, and cook for 30-40 minutes, or until the sauce starts to thicken. Serve over Basmatti rice, with naan to scoop up the sauce and raita to cool everything down.